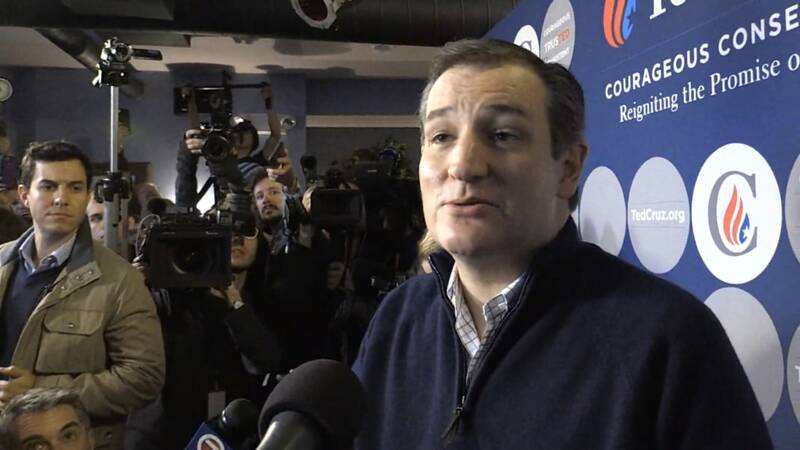 OFFSTOWN, New Hampshire — Republican presidential candidate Ted Cruz gave his harshest assessment yet of Donald Trump’s candidacy on Wednesday, saying the Iowa caucus runner-up is throwing a "Trumpertantrum" after his loss. "It’s no surprise that Donald is throwing yet another temper tantrum — or, if you’d like, yet another 'Trumpertantrum,'" Cruz told reporters before an event in Goffstown, New Hampshire. "It seems that his reaction to everything is to throw a fit, to engage in insults." Trump tweeted Wednesday morning that “either a new election should take place or Cruz results nullified” in Iowa because of “fraud committed by Senator Ted Cruz,” suggesting Cruz’s campaign misled voters. Trump has vilified Cruz’s campaign for allegedly misleading voters at caucus sites, suggesting that rival Ben Carson was dropping out of the race — and also for mailing a controversial flier that inaccurately warned voters they would receive a violation for not participating in the caucus. "I understand that Donald finds it very hard to lose, that he finds that very difficult to him," Cruz continued. "But at the end of the day, the Iowa people spoke. Donald trump guaranteed a victory in Iowa and then he lost, and he doesn’t like that." Cruz took his critique of Trump’s maturity a step further, comparing the reactionary Trump to his own daughters. Cruz also used #Trumpertantrum on social media, where the term was the third leading national trend on Twitter Wednesday evening. The comments represent a wild change from Cruz’s past insistence on his liking and having “respect” for Trump. But after beating the real estate mogul by three percentage points on Monday in the Iowa caucus, Cruz is geared toward next week’s primary in New Hampshire, where most polling shows him behind Trump by roughly 20 percent. Cruz is on a final push through the Granite State, visiting five towns on Wednesday and four more on Thursday.